A basic peanut sauce recipe is great to have when making Thai food. I’ve made Thai peanut sauce with peanut butter several times, but this recipe uses freshly roasted peanuts to give it an authentic taste. 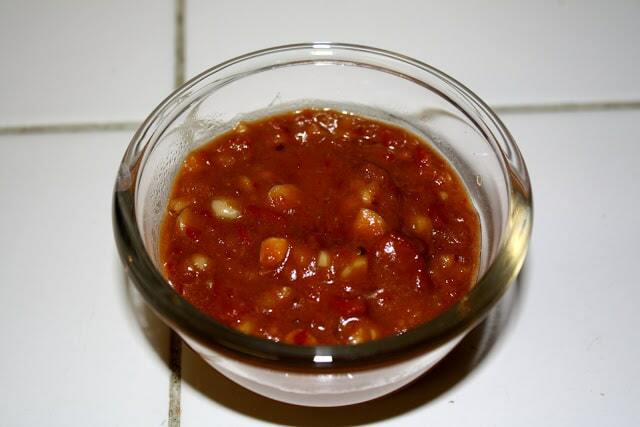 This sauce was adapted from a cooking class my husband and I took in Thailand. It can be used as a dip for fresh spring rolls, as a basic sauce for dishes such as Pad Thai or Pra Ram, or simply over sauteed tofu and vegetables. 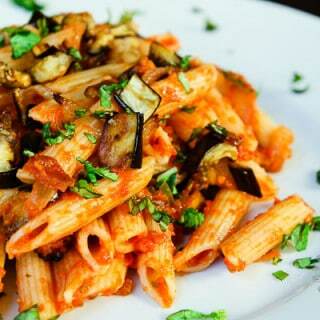 It can easily be made ahead of time and stored in the fridge for 1-2 months. You can also freeze it to use at a later time. Enjoy! This easy peanut sauce is made with fresh roasted peanuts, tomatoes, and coconut milk! Use it as a dip or pour it over your favorite noodles! Fry the red curry paste and chopped tomatoes in hot oil until sauce begins to thicken and the tomatoes start to blend stew (~5 min). Turn down the heat, and keep frying until the paste is fragrant. Add 3 tbsp coconut milk and roasted ground peanuts. Add brown sugar, light soy sauce, and dark soy sauce. Continue to stir. Add and additional 3 tbsp coconut milk or water if required to achieve a sauce-like consistency. Stir for an additional 5 minutes. Turn off the heat and add lime juice. 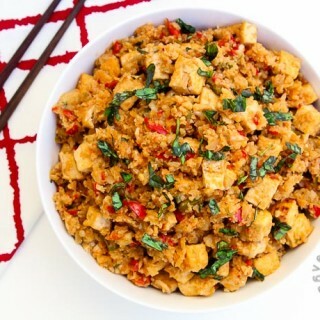 Use it as a dipping sauce, pour it over some pan-fried tofu, or veggies/noodles! 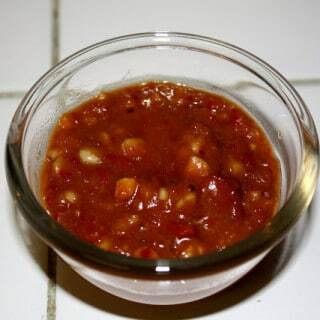 Peanuts can be substituted with any other sauce/seeds to make a different sauce. To Roast Peanuts - If you are planning on roasting them yourself at home, dry roast whole peanuts with skin removed. Ground the peanuts until they are very finely chopped. Gluten-Free option - Use your favorite gluten-free soy sauce or tamari (such as San-J). You're right in that most traditional soy sauces contain gluten. La Choy is one brand that is gluten-free, but it tastes pretty gross. My brother has celiac and he uses San-J which tastes really good. You have to make sure to check that it's gluten-free because they make a regular one as well.